This series of three cards has been designed to help you support and accompany someone who has been diagnosed with a serious illness over a period of time. 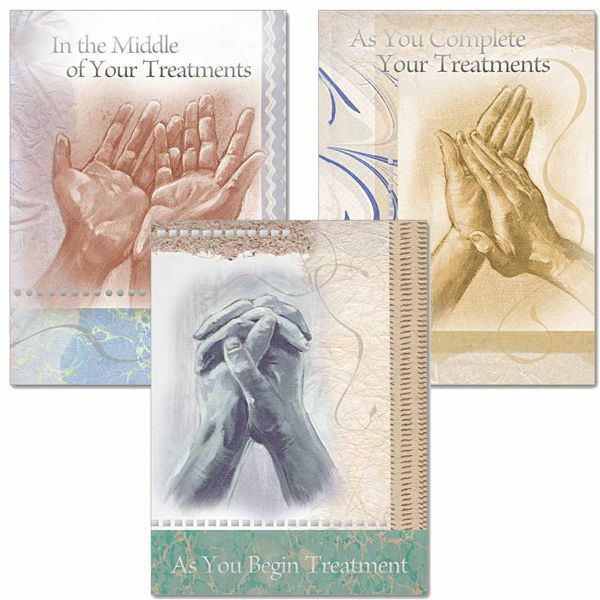 When you order this assortment, you will receive 1 each of "As You Begin Treatment," "In the Middle of Your Treatment," and "As You Complete Your Treatment" with envelopes. Accompany and support your loved ones each step of the way as they battle cancer or another serious illness. Note: The cards are not wrapped together.